With very little weight, performance, or price penalty, it's almost a foregone conclusion you'll desire the long-wheelbase 750Li. Who doesn't want to be driven around in party-leader style? BMW also offers sybaritic "individual" packages with special leather and wood trims; check them out before ordering yours. A less radical shape does wonders for the 2009 BMW 7-Series' appeal, though the dense layers of electronics require some patience and practice. 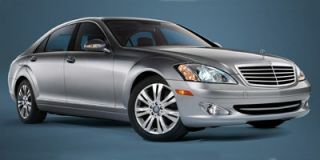 TheCarConnection.com's car experts researched Web reviews for the 2009 BMW 7-Series to compile this full review. TheCarConnection.com's editors also drove the 2009 BMW 7-Series in order to sort through the opinions they found on the Web, to hammer out a consensus among online car-review Web sites, and to help you get to the truth where reviewers had differing opinions. Praise and hallelujahs for the 2009 BMW 7-Series—no, it's not the most practical vehicle on the road, nor is it the cheapest. But in its fifth generation, the big Bimmer gets a complete revamp for its formerly odd styling, while preserving its BMW driving feel. The 2009 edition of the 7-Series sports a much happier, relaxed look and feel. The last version had a tall greenhouse and low nose, so it looked like an awkwardly formal top hat. Its raised decklid might have been copied everywhere, but it was still ugly. Now, the 7er (as it's called by enthusiasts) has been relieved of those awkward forms. It shines—the character line down its flanks lends some crispness to its profile, the ribs in its taillamps add a bit of upscale kink. There's a little blessed anonymity in its rear shoulders, a more open grille, and a wide, low air intake across the face that visually drops the front end. 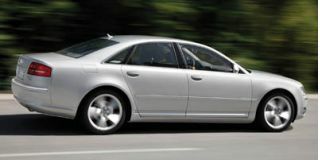 A long-wheelbase 750Li version is offered along with the more abbreviated 750i, but the visual differences are slight. Inside, it's also a job well done, with a driver-centric design that wears a blend of modern shapes and traditional surfaces. The instruments can be completely blacked out when needed; otherwise they glimmer softly amid wood trim, ceramic-finished knobs, and the futuristic controllers that direct the transmission and driving dynamics, as well as the iDrive system (more on that later). For now, there's a single powertrain offered in the 2009 BMW 7-Series. It's a 400-horsepower, 4.4-liter twin-turbo V-8. Off the list for now are BMW's V-12 and any of its marvelous diesels, but the big V-8 pushes the 7er almost as well as the old V-12 did—with just a faint whistle from the turbochargers. It's teamed to a six-speed automatic transmission that helps it offer class-leading fuel economy, BMW says (though official EPA numbers aren't in yet). Elsewhere the 7-Series' performance is unbelievably nimble for a car so long and heavy. It's planted and stable at the 135 mph, as seen on TheCarConnection.com's tester on the Autobahn. Credit goes to a raft of technology—a lightweight control-arm independent suspension front and rear, active rear steering (which turns the rear wheels opposite the fronts in some situations to enhance turn-in) with variable assist (on cars with the Sport package), and on the 750Li, an air suspension. Then there's the somewhat maddening Driving Dynamics Control, which allows you to pick settings for shock firmness, transmission shifts, steering heft, and throttle response. More often than not, you'll find it easiest to let the 7-Series decide on the settings and leave the rest to wasted transistors. The comfort and quality feel of the 2009 BMW 7-Series' cabin is astounding. The lighter-weight body has ever more passenger room. The multi-adjustable front seats are paragons of comfort, and the back's not shabby either. On long-wheelbase cars, there's 5.5 more inches of legroom in back—thank the Chinese party members who demand regal amounts of space. And if you're into sybaritic pleasure, you can order backseats that ventilate and massage your back and seat. Four zones of climate control keep the interior at an ambient ideal, and the leathers and woods are of Rolls-Royce quality—fitting since BMW has owned Rolls-Royce for a decade. The techno look of some controls detracts a bit from the overall feel. Safety gear is comprehensive, and includes front, side, and side-curtain airbags; rear-seat head protection airbags; active head restraints on the front seats; and knee airbags. Stability and traction control are standard, along with anti-lock brakes. Additionally, BMW offers a Driver Assistance Package that adds blind-spot detection, a lane-departure warning system that vibrates the steering wheel when the car drifts from its lane, and automatic high beams. Side-view cameras are another option that can help prevent low-speed accidents, as is the 7-Series' available head-up display. Luxury and technology features of the 2009 BMW 7-Series can threaten the relaxed atmosphere in the cabin. Along with all those safety bits and pieces, the new 7er also offers a new version of iDrive to control navigation, climate, and audio functions, operated through a joystick; Google Maps, which lets you send destinations from a home computer to the car (in Europe, the 7-Series can be ordered with wide-open Internet access in the backseat); GPS navigation with hard-drive map and music storage; an iPod connectivity interface; a six-disc DVD changer; premium sound with Sirius Satellite Radio and HD Radio; and a rear-seat entertainment system. The coup de grace? An owners' manual implanted into the car's electronics, so you can read it from the display screen. The 2009 BMW 7-Series receives a much-needed styling makeover, both inside and out. The previous generation of BMW 7-Series received much criticism for its more overt (ungainly, some have said) styling, so for the BMW 7-Series 2009 edition, BMW's designers have returned to the automaker's more traditional look. The automotive press is very pleased with the changes to the 2009 BMW 7-Series' exterior, according to reviews read by TheCarConnection.com. Jalopnik comments that "the design team has gone to great effort to correct the car's awkward-looking posterior," while Automobile Magazine reports that the latest 2009 BMW 7-Series "took what was right about its predecessor—its stunning proportions—and rids it of the ugly details." From the exterior, nearly all BMW 7-Series 2009 models look the same, as ConsumerGuide reports that "the [BMW] 7-Series lineup will consist of two models, the 750i and 750Li"; the only difference between the two is that the Li is 5.5 inches longer. Both cars share an exterior that Car and Driver calls "spruced up, with a strong crease that runs the length of the car," while the "trunklid is far less bulbous." Reviewers rave about the interior of the new 2009 BMW 7-Series as well, with Motor Trend reporting that the "most impressive" of all the improvements to the BMW 7-Series "are the changes inside," where the cabin is "marked by horizontal color gradations, a mix of fine leather and polished woods, and a new high-tech Black Panel instrument cluster." According to Autoblog reviewers, the Black Panel instrument cluster on the BMW 7-Series 2009 leaves "only the gauge rings and needles...visible when the car is shut off." Automobile Magazine states that some of the more notable interior changes include that "the shifter has moved back to the center console, the seat controls have moved back to the outboard positions, and the climate controls have, thankfully, moved out of iDrive." Despite its size, the 2009 BMW 7-Series delivers on BMW’s long-held promise of being the "Ultimate Driving Machine." The 2009 BMW 7-Series is a big, relatively heavy vehicle, but thanks to a host of performance improvements, it handles like a much smaller sedan. For the BMW 7-Series, 2009 marks the first year in quite some time that just a single engine is offered. Jalopnik reports that the sole powerplant is "a new twin-turbocharged, direct-injection 4.4-liter V-8 [that] manages 400 hp and 450 lb-ft of torque." 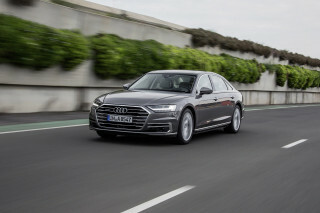 Reviews read by TheCarConnection.com show that the engine is very capable, and Car and Driver contends that they are "betting on a quickest-in-class 0-to-60-mph time in the high-four-second range." Motor Trend, meanwhile, raves about the "broad, robust torque band that stretches its peak 450 lb-ft of torque from 1800 to 4500 rpm," the end result being that "the effect of opening wide the throttle is relentlessly linear acceleration." The single engine is mated to one transmission choice, which Motor Trend says is a "torque-converter six-speed automatic gearbox" that has been "massaged to be faster, smoother, and more economical." For those looking to shift for themselves, Automobile Magazine reports that "manual shifting can be accomplished once the joystick-style selector is tilted to the left." Furthermore, Car and Driver notes that "a new eight-speed will likely be added in a year or so," which should only serve to increase the 2009 BMW 7-Series' already potent performance. Fuel economy on most large sedans isn't spectacular, but the 2009 BMW 7-Series isn't overly offensive. Although the EPA hasn't released any official numbers for the BMW 7-Series 2009 lineup, Car and Driver says that fuel economy should be improved "by three percent over that of the outgoing 750i/Li, rated at 15/23 mpg city/highway." Overall performance on the BMW 7-Series continues to amaze, as a variety of innovations improve the BMW 7-Series' handling and ride quality. Automobile Magazine says that, "from behind the wheel, the 7-Series feels much smaller than it is," thanks to its "neutral balance, prodigious cornering grip, and strong brakes." Motor Trend observes that the latest BMW 7-Series 2009 "also introduces Driving Dynamics Control, which allows the driver to select among four progressively sportier programs that also integrate the three-mode shock-control system called Dynamic Damping Control." Automobile Magazine also reports that "new for 2009 is BMW's Integral Active Steering, which adds speed-sensitive rear-wheel steering and is included with the Sport package." The overall effect of all these dynamic improvements is that the 2009 BMW 7-Series handles more like a 3-Series, while still offering the ride comfort that discerning passengers demand. For those considering the BMW 7-Series in long-wheelbase form, Motor Trend points out that "the only difference between the standard and long-wheelbase sedans is a rear air-suspension system for the limo for even more comfort." Boasting sublime materials and top-notch comfort, the 2009 BMW 7-Series is a true luxury vehicle and worth every penny of its $80,300 MSRP. It's hard to justify spending $80,000 on a car that doesn't deliver in terms of comfort and quality. Thanks to a highly comfortable, luxurious cabin and BMW's usual bulletproof reputation for quality, 2009 BMW 7-Series owners won't have to worry about making that justification. The seating arrangement within the 2009 BMW 7-Series is extraordinarily comfortable, thanks to both its generous dimensions and sculpted, supportive seats. Automobile Magazine raves about the "vastly improved ergonomics" inside the BMW 7-Series 2009 lineup, while editors here at TheCarConnection.com feel that the multi-adjustable front seats are paragons of comfort—and the back's not shabby either. Speaking of the backseats, ConsumerGuide reports, "The 'L' versions of BMW's flagship sedan ride on a wheelbase that is 5.5-inches longer than that of the 750i," and virtually all of that extra space has gone into rear legroom. For those who want to truly swaddle themselves in comfort, the seats can be ordered with a massage capability. The voluminous BMW 7-Series can swallow lots of cargo, thanks to its generous dimensions. Passengers simply disappear inside the cabin, while the 2009 BMW 7-Series' large trunk is easily capable of handling golf bags or the contents of a serious Whole Foods run. When it comes to interior materials and build quality, the 2009 BMW 7-Series can hold its own against any of its competitors. Automobile Magazine points out that the latest BMW 7-Series 2009 features "even better-feeling materials" than its predecessor, while Motor Trend raves about the "mix of fine leather and polished woods" that leads them to christen this "the most luxurious-feeling interior yet from BMW." Automobile Magazine also notes that the center screen on the BMW 7-Series 2009 is "larger (10.2 inches vs. 8.8 inches), [and] higher-definition." Another area where the BMW 7-Series excels is in terms of driving refinement. Motor Trend goes so far as to conjecture that the BMW 7-Series 2009 has "perhaps the quietest car cabin ever devised," a testament to the impeccable build quality of the 2009 BMW 7-Series. The 2009 BMW 7-Series pulls out every trick in the book—and creates some new ones—to keep safe on the road. The 2009 BMW 7-Series lineup features a long list of high-tech safety features that will keep occupants and nearby pedestrians safe under nearly any driving conditions. As part of its usual research on vehicle safety, TheCarConnection.com reports all the available crash-test results for a particular model. Unfortunately, when those models are either particularly expensive or very new—the 2009 BMW 7-Series is both—crash-test ratings may be unavailable. Such is the case with the BMW 7-Series 2009, which hasn't yet been tested by either NHTSA or the IIHS. Stay tuned for crash-test updates, however, as TheCarConnection.com will continue to monitor both agencies for word on the BMW 7-Series holds up during crash tests. Although no crash-test data is available for the BMW 7-Series 2009 lineup, the sheer magnitude of safety equipment lends credibility to its high overall safety rating. According to reviewers at ConsumerGuide, "available safety features include ABS, traction control, antiskid system, front and rear side airbags, knee airbags, and curtain side airbags" on the BMW 7-Series 2009 line. One of the most important safety aspects when driving a vehicle like the BMW 7-Series is how conscious you are of the road, and no car can match the 2009 BMW 7-Series for driver awareness. One of the BMW 7-Series' optional features, according to Automobile Magazine, is "Active Blind Spot Detection and Lane Change Warning," which "uses radar sensors in the rear bumpers to see around two hundred feet behind the vehicle to determine if a vehicle is in, or is approaching, the 7-Series from behind in a neighboring lane." A Lane Departure Warning system also monitors the road ahead and alerts the driver if they are about to leave their lane without signaling. Motor Trend reviewers rave about some of the BMW 7-Series' safety technology, attesting that it features "a new night-vision system that can alert the driver to a pedestrian's presence," while "other notable safety features new to the 7 include a head-up display that is easily legible." Perhaps the most highly rated new system is the optional "sideview camera system" that Motor Trend reports "lets the driver view oncoming traffic when trying to enter a road from, say, an alley or garage exit." The 2009 BMW 7-Series is a tech-lover's dream, and with the simplification of iDrive it's now more accessible than ever. What's a BMW 7-Series without enough gadgets to make James Bond envious? We'll never know, thanks to the 2009 BMW 7-Series lineup, which continues this nameplate's long tradition of offering the latest in high-tech amenities. TheCarConnection.com's research shows that the 2009 BMW 7-Series keeps things simple by offering just two variants, with a wide range of available optional features as well. ConsumerGuide says that "the 7-Series lineup will consist of two models, the 750i and 750Li," and Motor Trend states that both of these BMW 7-Series vehicles come with "high levels of standard equipment." One of those standard items on the BMW 7-Series 2009 is iDrive, BMW's in-car computer system that controls most of the vehicle's functions. On the previous BMW 7-Series the iDrive was much maligned for its poor user interface, but for the BMW 7-Series, 2009 brings an all-new interface. The new version of iDrive is so improved that Car and Driver proclaims that "continuing to call it iDrive is almost an insult to its vastly improved control strategy." Another slick feature of iDrive is that it now houses "an electronic owner's manual," according to Automobile Magazine, "tailored to the exact options of the 7-Series it is housed within." All of this helps maintain the BMW 7-Series' status as the "pinnacle of technology and luxury accoutrements in the German automaker's lineup," raves Edmunds. In addition to the standard luxury items found on the 2009 BMW 7-Series, the reports read by TheCarConnection.com show that the BMW 7-Series can be equipped with a lengthy list of optional features. 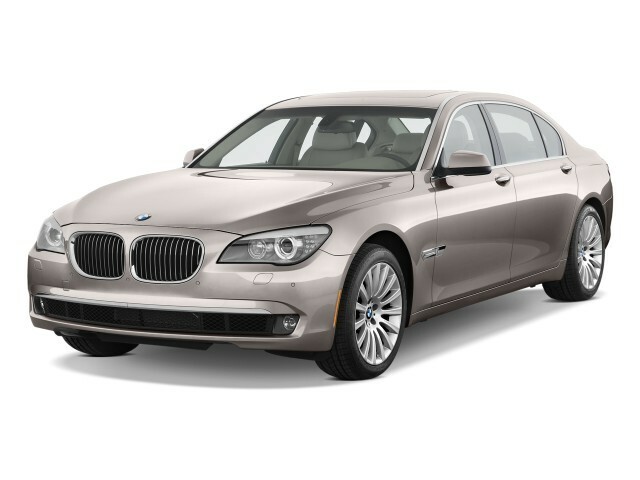 ConsumerGuide reports that "MP3 player connectivity and satellite radio" are available on the BMW 7-Series 2009 lineup, while "also available are a night-vision system, adaptive cruise control, DVD entertainment, and keyless access/engine start." For those BMW 7-Series 2009 vehicles equipped with the DVD entertainment package, Autoblog notes that "backseaters get a pair of video screens, and each passenger has control over what his or hers displays." Jalopnik, meanwhile, declares that "exclusive BMW driver-assistance systems and comfort-related features further add to a truly exceptional driving and riding experience."